We’re about a week into 2018! Hopefully you have recovered from the festivities and have a fresh perspective on what you hope to accomplish this year. While I hate the term resolutions, I think that a new year is an important time to set smart, strategic goals that you can be held accountable for as the year progresses. Here is my road-map to setting actionable goals for my blog staying on track! Hopefully this helps inspire your journey to success this year! There is nothing like a good book to help psyche you into action. 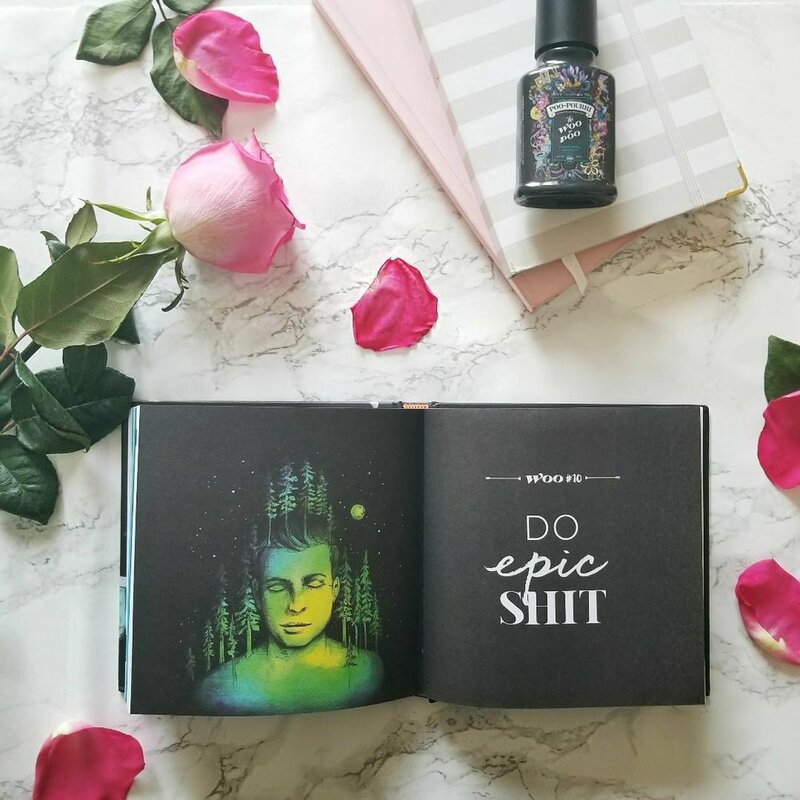 I just finished reading The WOO of POO: Change Your Life In The Time You Take a Sh*t. If you aren’t familiar with Suzy Batiz or her company, Poo~Pourri, you are seriously missing out! The WOO of POO Before-You-Go® Toilet Spray is a game-changer! Just spray it in the bowl before you go and it forms a protective barrier that traps odor under the surface. So instead of smelling your roomie or lover’s poo, you just get a whiff of natural essential oils. I’ve been a long term user of Poo~Pourri and have to say it has saved lives and relationships! So when I heard about Suzy’s book on Amazon I had to give it a read. The book is full of tidbits from Suzy and team on how they built a crazy idea into a multi-million dollar business. Add it to your reading list for some inspiration as you think about the goals you are setting and develop a roadmap to achieve them. One of the first things mentioned in The WOO of POO is believing in magic. There are times when it feels like you are drowning in a sea of competition. And in the blogging world there is always someone with more followers, more engagement, or who you think is cuter or more stylish than you. Instead of letting the stink of potential failure keep you down, remember how unique your voice is and what you bring to the table. If you get lost along the way, there are several handy exercises in the book that can help you along the way. One of my biggest goals for the year is expanding my reach as a blogger, and sometimes it seems like an impossible journey, especially with all the changes to the Instagram algorithm. But then I remember when I started this journey, when I went from 200 followers to breaking my first 1000 and finally being where I am now. While I may not have exploded, I am growing at a steady pace, am proud of that, and am grateful to all of you who support my content. Even though I wish I could snap my fingers and have a million followers, exponential growth does come at a price. Suzy and the Poo~Pourri team learned that when their company exploded after a viral video, and they almost went out of business. I still balance many responsibilities outside of blogging, between work, family, friends and a social life. I’m def not ready to manage a crazy editorial calender and blogging schedule, so I try to keep that in mind as I manage my growth. Standing out in the bloggersphere is a challenge and one that I am trying my best to tackle! I'm planning to take my content to the next level by getting more creative and innovative every step of the way! Hopefully 2018 the best year for my business so far, and that it will only get better! Let me know what you are hoping to accomplish this year and beyond, and how you plan to accomplish those goals! And check out The WOO of POO: Change Your Life In The Time You Take a Sh*t.on Amazon!